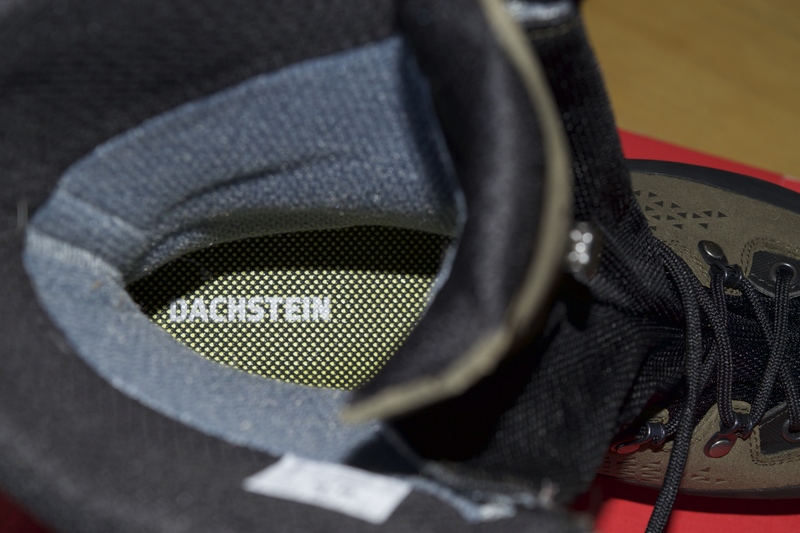 I have been blessed with the opportunity to test out a pair of boots from a company largely unrecognized in the United States, Dachstein. This company however, is not new and in fact has been around crafting high-quality footwear since 1925. Rooted in Austria, they stayed local, within their region. 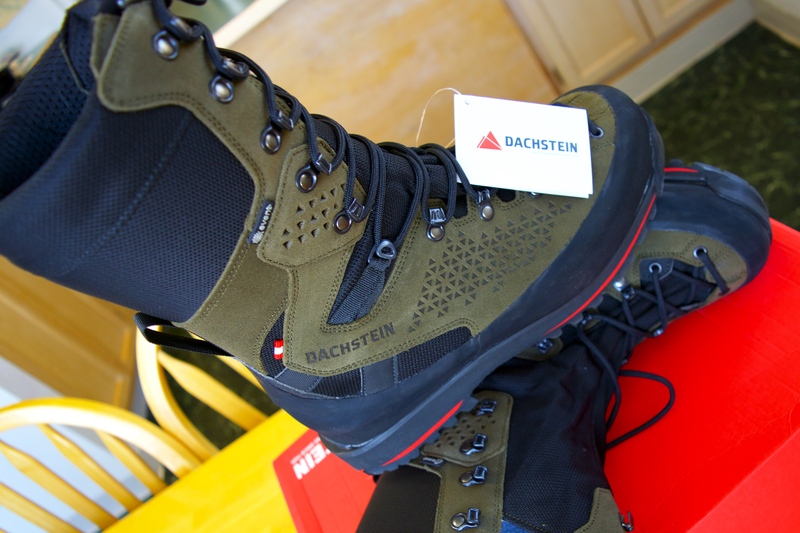 They sent me a pair of Alpin-Bock hunting boots. I wasn’t sure what to expect. I have worn out my share of hunting and hiking boots in the past and have hated some and loved others. When the bright red box arrived in the mail it felt like Christmas. I opened it up and I could see that the boots were stout and obviously well made. I figured once I put them on they would be stiff, not only because they were new but also because they were built so tough and stout. I was shocked when the complete opposite happened. I laced them and stood up only to discover that while they did fit me like a glove and offered exceptional stability and support, they still were able to move with me as I walked and I would not describe them as stiff. The way they were designed caused them to have the perfect amount of give on the side of my ankle and I found walking to be extremely comfortable and natural. I also noticed that I felt as if I was walking on a bed of air. The sole has an incredible amount of cushion to it. All of these factors made me decide that no amount of breaking in was necessary for me to be able to take these out on a hike for miles and not come home with a blister. They simply fit right. Taking a close look at the construction of the boot finds no weakness or potential for premature separation of seams or sole. The boot also comes with a two-year warranty, which is unheard of. The one problem I have had with hunting and hiking boots in the past is the claim that they are waterproof because of Gore Tex and after walking a few weeks in them I go into dew covered grass and have wet feet. These boots boast a water-proof and breathable eVent membrane and I can’t wait to test it out and see how well it holds up. I need a new pair of boots. Might try these out since you recommend. That is great! I would love to hear what you think of them also. I don’t think you would be disappointed. They make these in a low hiker style also which would be great for all weather. I have always had cold feet so wearing a big warm boot is never a problem for me but if you are hiking a lot in the heat of the summer the shorter version might be the way to go. Just a thought. There you go! I would love to hear what you think!